A building block to good flavor and the foundation of many stews and sauces involves caramelizing onions. It’s not difficult to do, but it does require a bit of patience as it takes at least an hour depending on the number of onions you’re doing. I don’t know about you, but I don’t have an hour to sit around and stir onions on a busy weeknight. That’s why I like to buy a big bag of onions when they’re on sale, and spend a few hours on a lazy Sunday caramelizing the whole bag. You can then portion the caramelized onions into ice cube trays and freeze them, allowing you to add a ton of flavor to a quick weeknight pasta sauce or curry. Caramelizing onions is a three step process. During the first stage (45-60 minutes), you cook the onions with a lid, braising them in their own juices. The salt helps the onions release their liquid quickly so they don’t burn. You want to braise them in their own liquids until the onions are mostly broken down into a light brown mash. The second stage (45-60 minutes), involves boiling off the liquid that the onions have released. During the final stage (about 30 minutes), most of the moisture has been driven off and you’re frying the onions in the oil that was added initially. This is where most of the caramelization happens. Slice the onions thin – The thinner you slice the onions the faster they will release water which means the sooner they will caramelize. You also want even slices, otherwise the onions will caramelize unevenly. A mandolin slicer is a fast way of getting thin even slices. Slice the onions in rings– By slicing the onions against the grain, they breakdown easier, speeding up caramelization. The finished caramelized onions will also melt into whatever you are making faster than if you cut them with the grain. Use a heavy bottomed pot – An enamel coated cast iron pot such as a Le Creuset or Staub is ideal because it will evenly distribute the heat. Thinner pans with hotspots will burn easier so you will need to be more diligent about stirring. This will become tiresome after 2 hours. 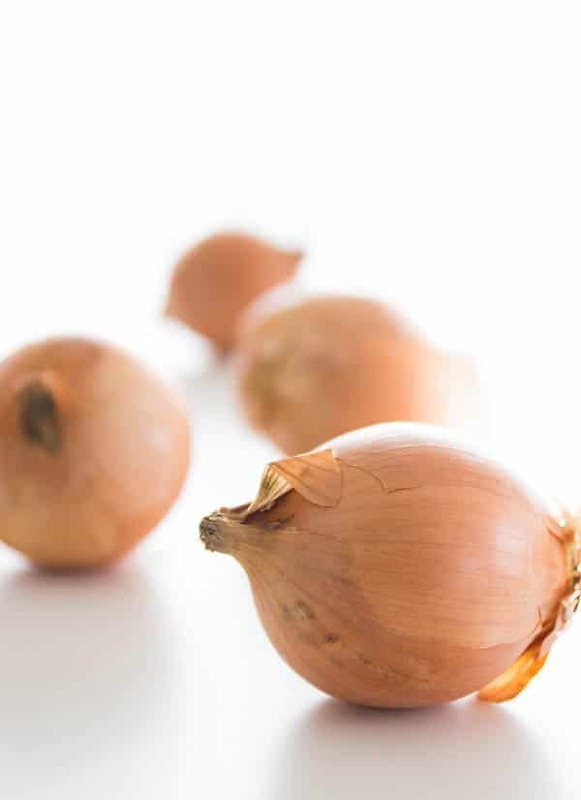 There are other shortcuts you can take, like raising the temperature, but this typically delivers unevenly caramelized onions, as the exterior of each onion slice will start burning before the interior is fully caramelized. You can also dramatically speed up caramelization by raising the pH of the onions (i.e. adding baking soda), however I’ve noticed this adds a slightly bitter metallic taste which is why I like to do it the old-school way unless I’m really pressed for time. Add the oil to a large heavy bottomed pot, holding the root part of the onion use a mandolin to slice the onions straight into the pot, discarding the root. When you're done slicing, add the salt and stir. Cover the pot with a lid, and then turn the burner on to medium-low heat. Cook covered until the onions have mostly broken down and are a pale brown sludge (about 45-60 minutes). Be sure to stir the pot periodically, checking to make sure the onions aren't burning. If they are, turn down the heat and add a bit of water. Once the onions have gotten to this stage, remove the lid and continue cooking until there isn't water vapor coming up from the onions (another 45-60 minutes). You'll want to stir the onions every few minutes to make sure they're not burning. Once most of the moisture has burned off, you'll need to constantly stir the onions, scraping up the bottom of the pot with a silicone spatula to keep the onions from burning. Fry the onions until they are very glossy and are the color of coffee with milk. If the onions start burning to the bottom of the pan before they reach this stage, deglaze the pan with a bit of water, scrapping the browned bits off the bottom of the pot. Once your onions are fully caramelized, turn off the heat and allow them to cool. To store them for later use, fill a clean ice cube tray and freeze them. Once the onions are frozen you can remove them from the tray and place them in a Ziploc bag. 2 hours!?! Amazing! I bet these really are perfect. Thanks for sharing your technique! I’ve never had caramelized onions turn into a sludge like that before. o.o I must be doing it wrong. Normally they just turn golden brown but they keep their onion slice shape. I guess that means I’ve never had caramelized onions. xD I’m gonna have to correct this. The onions not turning into a sludge is fine, you’ve probably just been cutting the onions with the grain. I just like cutting them against the grain and letting them melt because they tend to caramelize more evenly that way, and the resulting onions incorporates more smoothly into whatever I add them to. It’s worth considering, I’m usually not looking for the sludge stage but this is the sort of restaurant technique at home trick that can be quite useful. The introdutory paragraphs made me laugh out loud however, another task for the mythic “lasy Sunday at home list” one should really do sometime or other. I have never thought of freezing onions. What a great idea for that flavor boost. Usually, which I think of caramelized onions, I never go this far in the process, but maybe I’ve been missing something. When I first made French Onion soup, I followed the directions to cook the onions slowly, a bit fanatically. It said they were to be a deep medium brown and mine went 9 hours getting there. Lovely, though we had the soup next day. Hmmm, this is a REALLY great idea! I tend to use a lot of onions, but never thought to caramelize them like this. 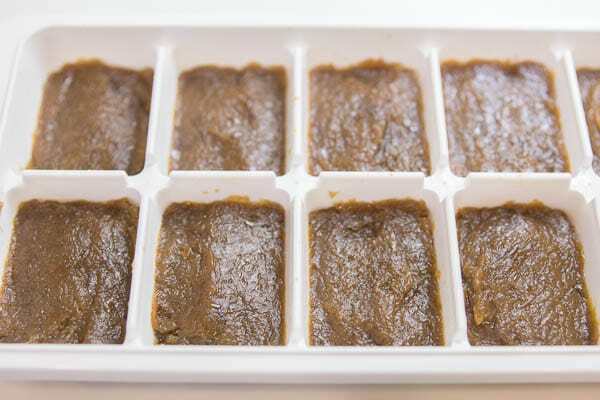 I can see the convenience of having these in your freezer.I think I’ve found a use for my daughter’s baby cubes (little individual size containers I used to freeze homemade baby food in) that we’ve since outgrown. PS: I don’t know if I told you how much I love the new design? PPS: We are well overdue to meet somewhere in the world. Let’s plan! Great idea. What would be much more helpful than the vague description “medium onions” would be weight or cups of onions. Thanks! Hi Elle, I’ve switched to using mass based measurements for non-liquids, but unfortunately most of my past posts have yet to be updated. The good news is that for this particular recipe, precision is not important at all. Basically you you want to fill a 5-6 quart pot with sliced onions. Could you use a food blender to make some sort of puree of the onions? All the liquids will be released already and maybe caramelization wll happen faster? Hi Steve, I like the way you think. I had the same idea a while ago and tried it but it doesn’t work. The biggest issue is that the the pureed onions starts to burn and stick to the pan before the mixture is caramelized. This could be controlled by using a very low heat, but it will end up taking longer than just using thinly sliced onions. 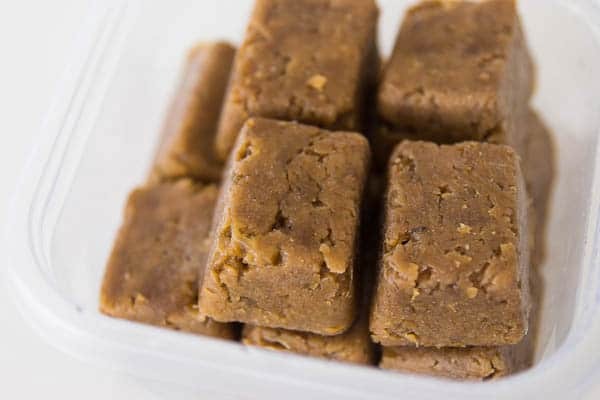 If you want to speed up the process, you can add a little baking soda to the mixture, which will speed up caramelization significantly, but will add a slightly off taste. Is it important to use grape seed oil over vegetable or olive? 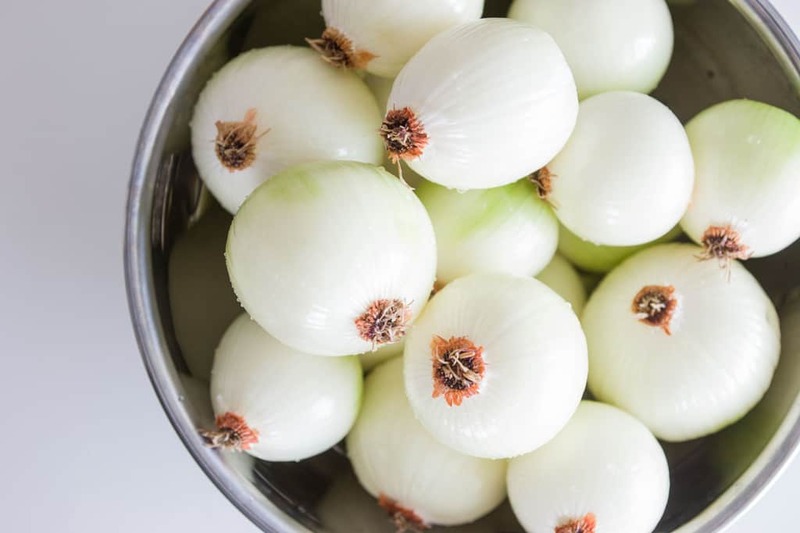 You an use regular vegetable oil, olive oil will work as well, but it will make your onions taste like olive oil, which is fine for some dishes, but can limit the places you can use the onions. Hi, how long can they be kept for after thier frozen? Hi Bryan, it really depends on your freezer. If you have a deep-freezer they should last a very long time if packaged properly. If you’re using a regular home freezer, they’ll get freezer burn after a few months due to the deicing cycle of the freezer.